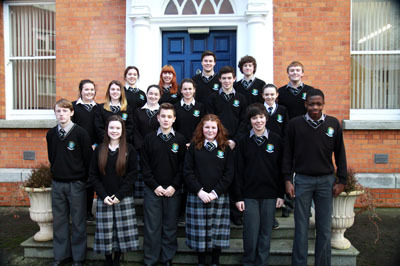 18 students are elected anually to serve on the Students’ Council of St. Mary’s College. 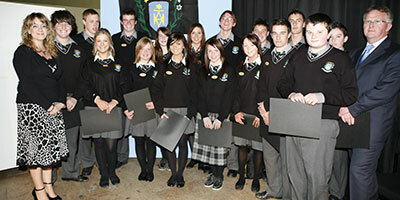 The role of the student Council is to represent students’ views to management, to be consulted prior to the implementation of relevant new policies, to contribute, where appropriate, to the developing of policy in the school, to be a resource working in partnership with the management of the school, to improve the school atmosphere, conditions and facilities and to generate good relations between students, staff and management. 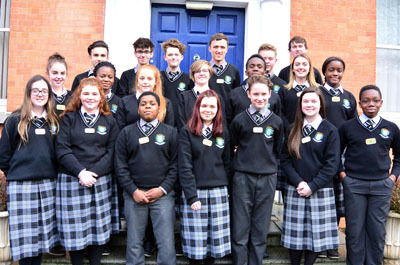 In St. Mary’s College the Student Council also plays an important supportive role at Parent-Teacher meetings, Open Night, First Year Mass, the Céilí and all other events that take place in the school. St. Mary’s College annually hold elections for two positions on Louth County Councils Junior Council. Two senior students are chosen from the entire student body after a full and transparent election. The two representatives along with other schools representatives debate areas of common concern for young people in Dundalk and Louth in general. Past students have been chosen to Chair the Junior Council as well as represent it at organised events with Ministers and Diplomats.